Introducing the new black eniTAB360°. 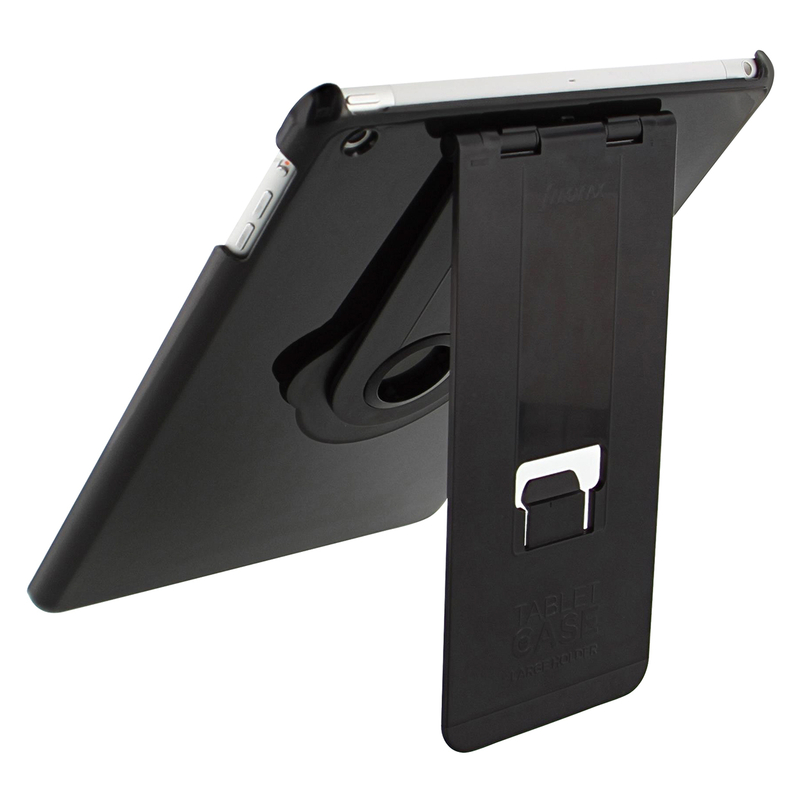 Our revolutionary universal tablet holder really is compatible with any tablet regardless of the make or model, just choose your size; small fits screens <8.4” and large fits screens of 8.5”- 13”. Designed with longevity and simplicity in mind, the eniTAB360° uses unique micro-suction technology to grip directly to any tablet, e-reader of mobile device. The fully adjustable friction hinge allows for unlimited viewing angles and the swivel head provides 360° rotation to seamlessly transition between portrait and landscape views. 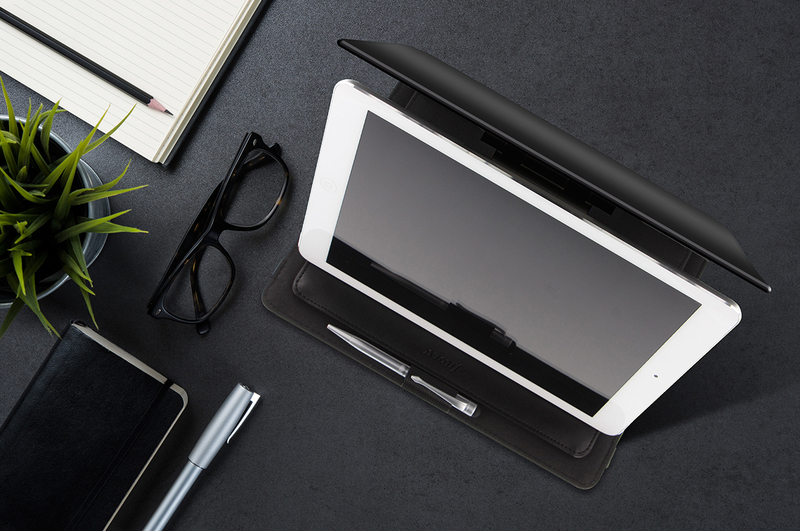 Whether you’re writing, watching movies or following recipes, the eniTAB360° is the perfect accessory for your tablet. 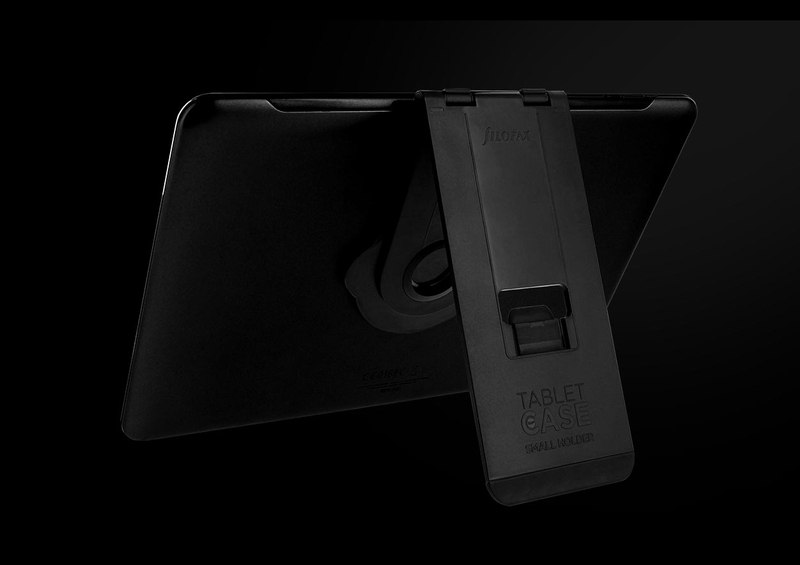 The eniTAB360° is compatible with the largest collection of tablet cases in the world, and any hard shell cases. Browse our collection of tablet cases and choose from hundreds of combinations of materials, fastenings and patterns. 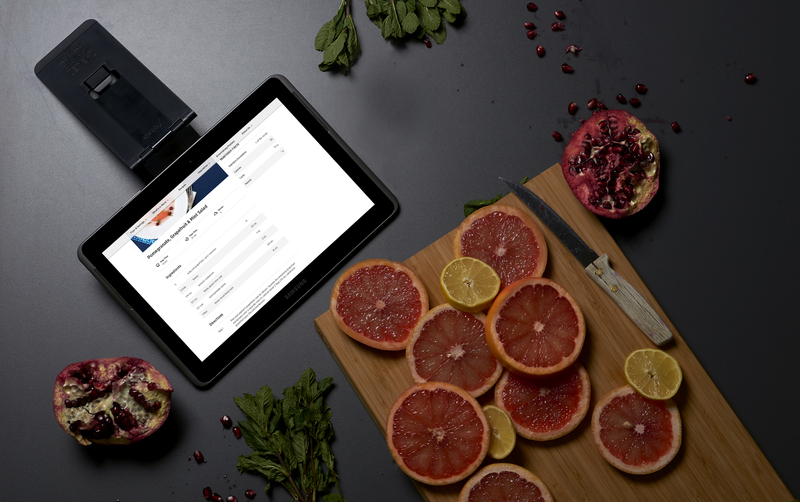 If you like being the first to know about all things Filofax, sign up to our newsletter below.